Southlake Therapist: Tracy Crain - Therapist 76092.
and start making positive changes in your life. From Tracy - "I am: not one of those therapists that sits and stares at you and then asks you how you feel at the end of the session. I like to get in and ask questions and offer strategies that can provide support. I am straight forward and honest and above all loyal and passionate about my work. I don't believe in extending therapy unless necessary, while at the same time providing brief solution focused techniques that help provide relief. I am personable and comfortable to be around and empathetic about the needs and concerns of others. I am not judgmental and above all most confidential in my work with others." 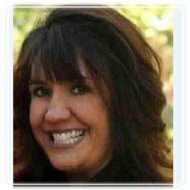 Tracy Crain is a licensed professional counselor (M.S., LPC-S, LCDC) who has been in practice for over twelve years. She is a member of member of the American Counseling Association, the Texas Counseling Association and the Texas Association of Marriage and Family Therapists. Visit http://www.tarrantcountycounseling.com for more info.